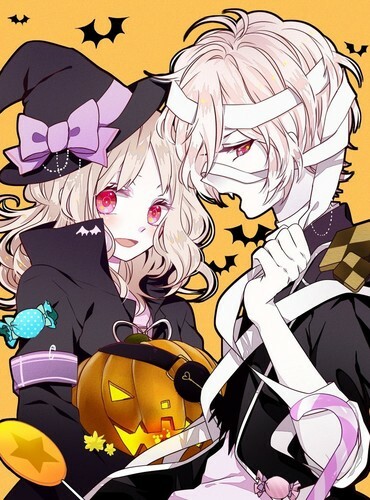 [Halloween] Yui and Subaru. Subaru looks like a snake, that neck... This was the thing I though at first: the mummy snake. source: weheartit.com/entry/group/27765746. HD Wallpaper and background images in the Diabolik amoureux club tagged: yui subaru halloween.